Winemakers are much like pilots, as we both are people who have to be aware of the weather. Staying on top of weather conditions may not be a matter of human life-survival, but it will be an important aid in making the best decisions to benefit the coming grape season. This time of the year might seem to be of lesser importance in terms of weather condition and, to tell the truth, it’s not precisely the most crucial. Nevertheless, it is good to keep track of what’s going on in order to get a better picture of what to expect next Spring. Let’s see, according to the latest weather data, I presume I don’t need to point out that we are experiencing a colder than usual fall/winter time. The second part of November’s average temperatures, which includes those pleasant days that ended on the 21st, was 4.32ºF lower than the month’s average, 58.5ºF. However, taking data from November 22nd on those last nine days of last month averaged only 44.3ºF. Last December we experienced colder than usual temperatures as well, though closer to the month’s average, 46.2ºF measured for a 50.4ºF historic average. All these temperatures are according to the readings at Bergstrom International Airport. Does this have anything to do with our vineyards? Yes, vines, like basically all other deciduous fruit trees, need to sort of “register” cold. In fact, there is a list of species and their winter cold needs (called “cold hours”) that lets you know where they would perform as expected. Only until enough cold time has been felt are they able to wake up “ready” with the warming temperatures of spring. This adaptation keeps them from not bud breaking too soon after the next mid-winter heat wave. Since this process occurs at bud level, we don’t have to worry about pruning; all remaining buds would have the ability to start with the right stimulus. Now, the good thing about this cold weather we are experiencing is that it promotes good “cold registration” among plants/buds, which usually results in a more even bud break in the vineyard. This, while not fundamental, is highly desirable by the viticulturist who can assess the right timing for all sorts of canopy interventions, which would be best throughout the season and eventually we can end up having an even ripeness at harvest time, which is highly desirable for everybody. So, let’s gear up for the cold and let more come, for it well may mean a good start this year! 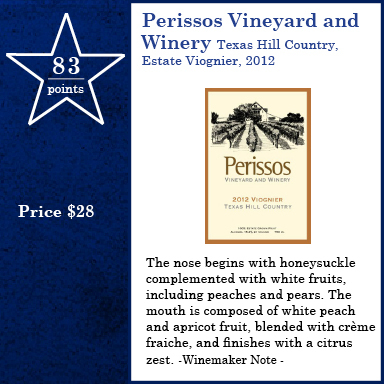 Texas wines have really hit their stride in the last several years. The state is the 5th largest wine-producing state in the country. The Texas Hill Country is the second most traveled wine region in the country and one of the top ten wine destinations in the world according to Wine Enthusiast Magazine. 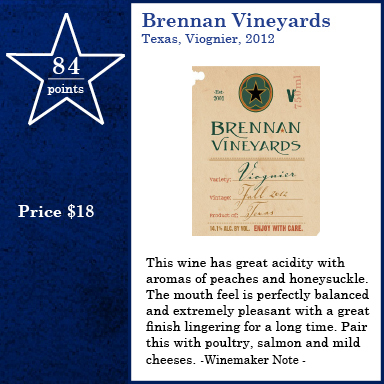 Yet, in spite of all this, Texas wines are still mostly unknown throughout the United States and even within the state, which presented an opportunity to get involved and make a difference in the awareness of the great wines being produced. 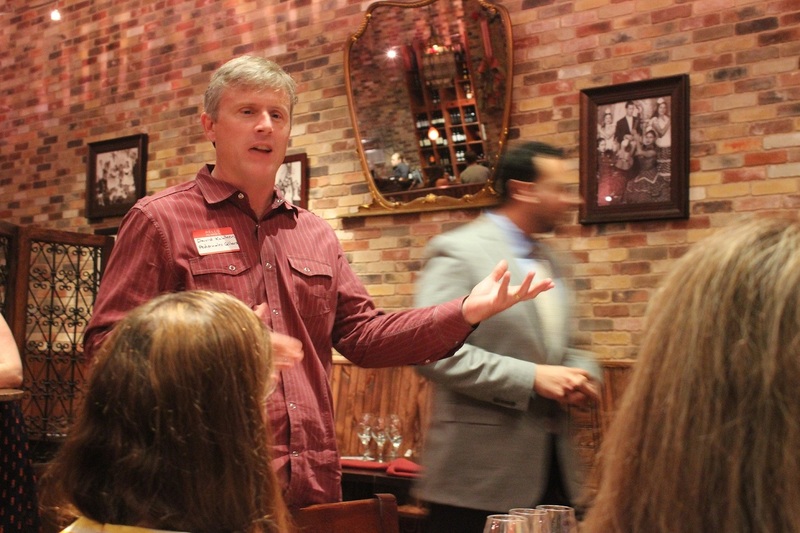 In 2013, the Texas Wine and Food Consortium, along with GUSTO Tastings, sought to continue the growth and expansion of the Texas vs. 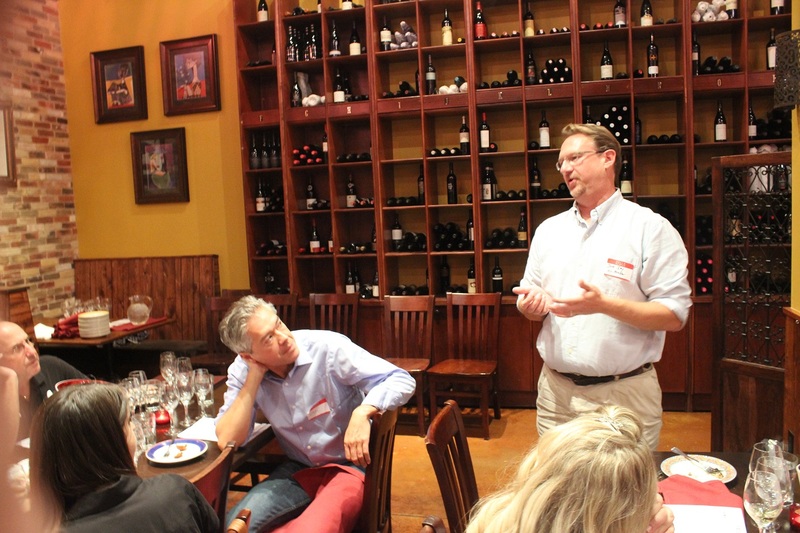 The World tasting series that debuted for the first time in 2012 by offering more tastings, featuring more wines and producers, and doing it in more cities around the state including Austin, Dallas, Fort Worth, and Houston. 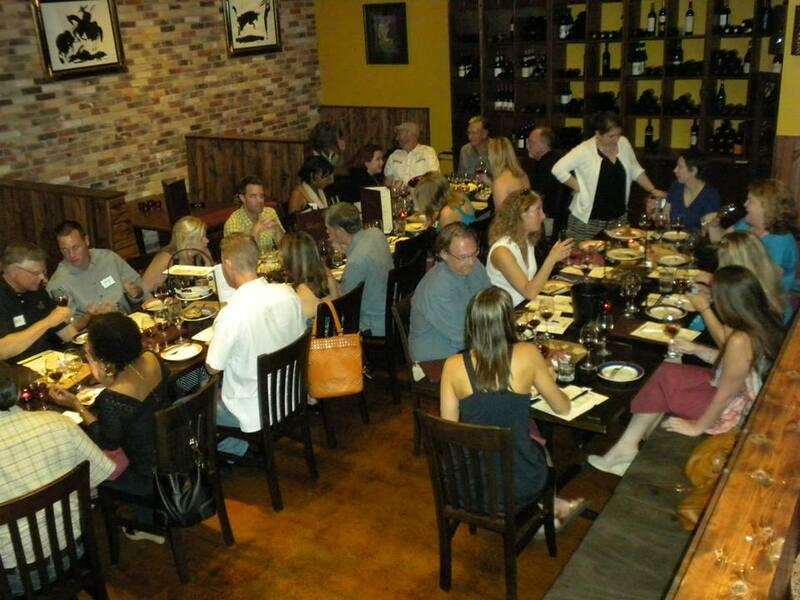 In total, 144 wines were featured and 328 guests attended the series throughout the year. 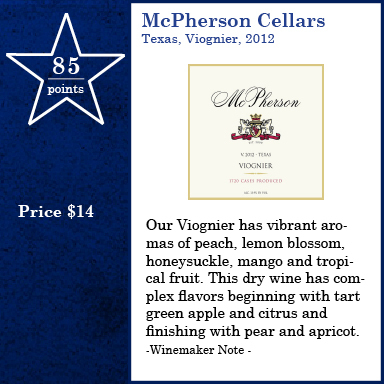 To view all the wines featured throughout the year, click HERE. 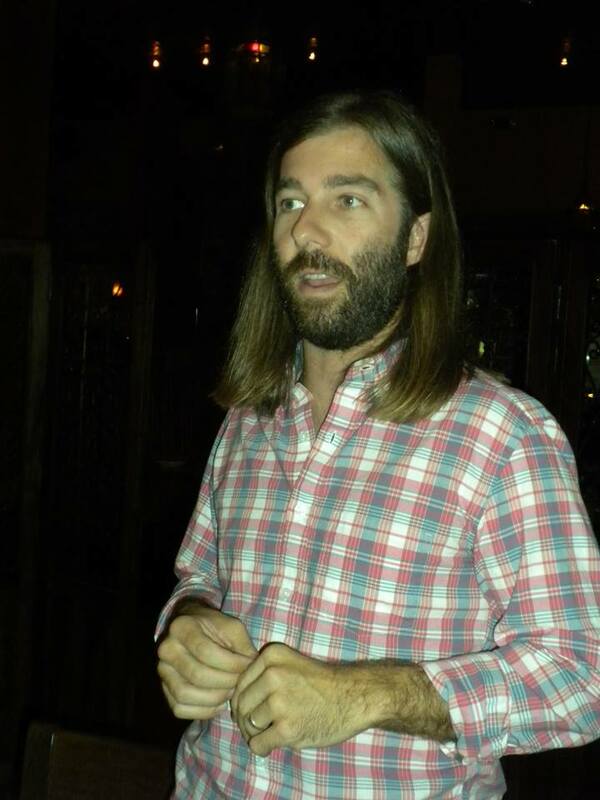 Ron Yates of Spicewood Vineyards speaking on Roussanne at Texas vs. the World. Roussanne was the first varietal to be put to the test under this blind tasting format. Roussanne is classically not a grape made into a varietal wine, much less even being well-known outside of the Rhone Valley in France where it is typically blended with it’s sister grape, Marsanne, in wines from the Hermitage and Châteauneuf-du-Pape. It’s a difficult grape to grow as it’s vulnerable to mildew, drought, wind, and late or uneven ripening. In warm climates, it creates wines that are rich and full-bodied with honey and pear flavors. It is more floral and delicate in cooler climates. These distinctions also make it an interesting grape for the tasting. Here we have an unfamiliar varietal that can taste very different based on its growing region. The tasting ended up showing a mixed bag of results. 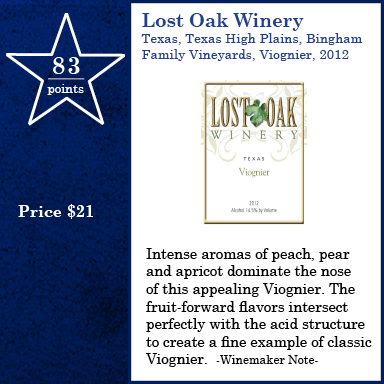 Twelve of the seventeen wines featured in the Roussanne tasting were from Texas and their scores ranged from second place to second to last. California wine rankings were also very diverse indicating that winemaking takes a much more important role than the region in creating a great Roussanne. For complete Roussanne results click HERE. The second varietal to fall under the blind format was Sangiovese. As a classic grape, Sangiovese is grown all over the world and is most known in Italy, where it is the most widely planted red grape variety. Sangiovese has shown itself to be adaptable to many different types of vineyard soils, but seems to thrive in soils with a high concentration of limestone. The grape requires a long growing season as it buds early and is slow to ripen. 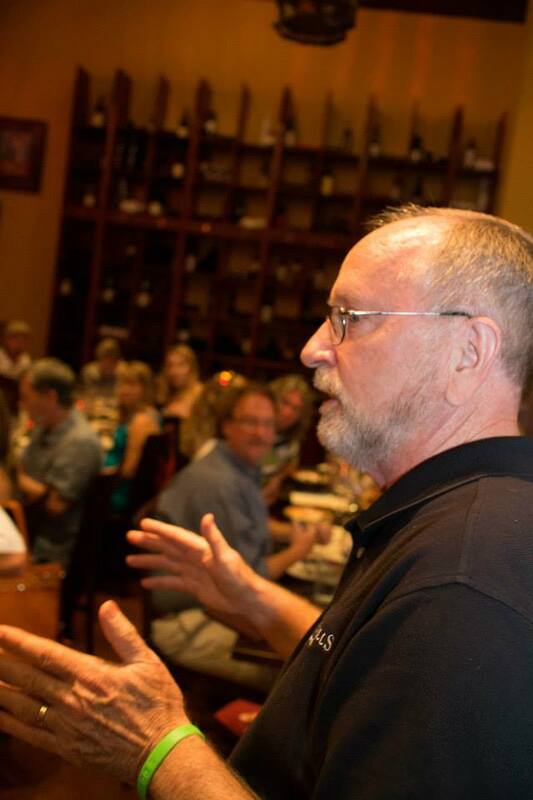 Gary Gilstrap of Texas Hills Vineyard Talking Sangiovese. 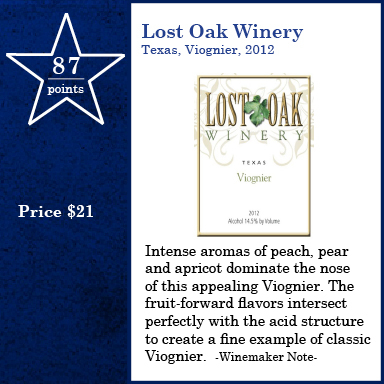 The consumer tasting featured twenty wines, thirteen of which were from Texas. The results of this tasting were much different than that of the Roussanne tastings. 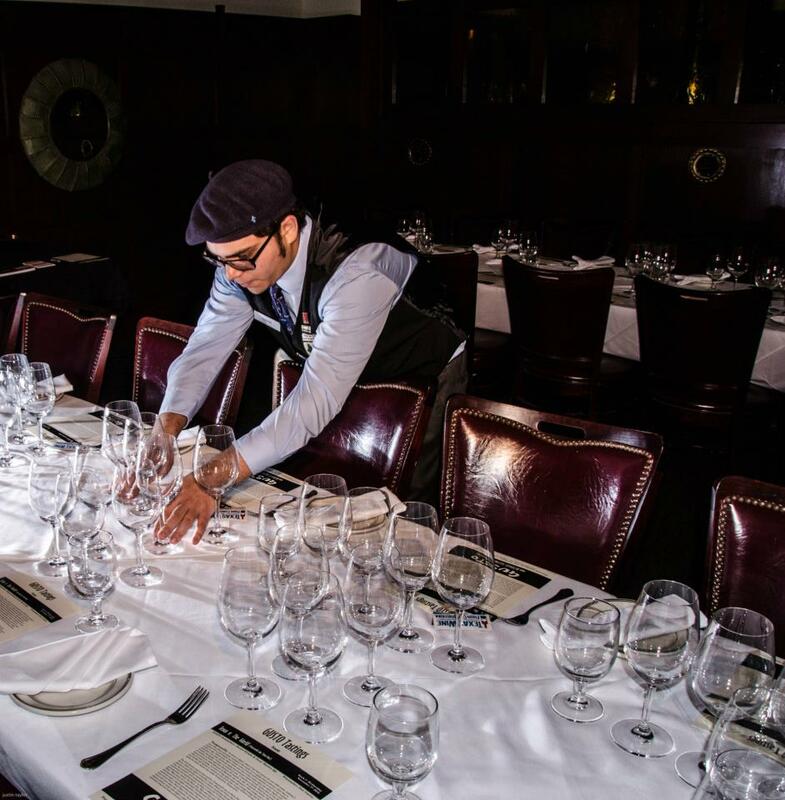 When such renowned wines as the Antinori Tignanello and the Ciacci Piccolomini d’Aragona (a Wine Spectator Top 100 wine in 2013) are included in the lineup, you hope for the best, but really just want to come close to being on the same level as those great wines. 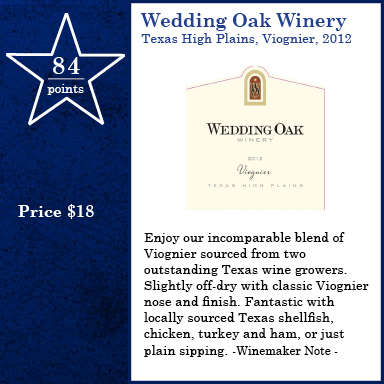 It turned out that four Texas wines would beat out the Tiginanello and eleven would reign supreme over the Ciacci. 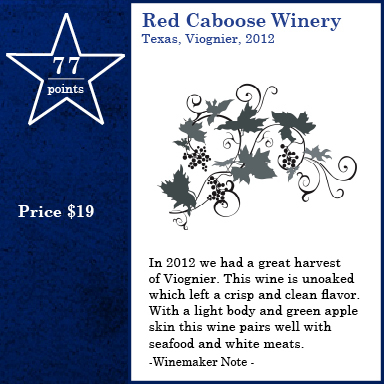 For complete Sangiovese results, click HERE. 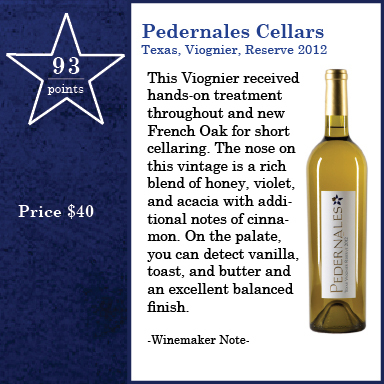 David Kuhlken of Pedernales Cellars Speaking on Viognier. Next in line was Viognier; a grape found in the Rhone Valley and made famous in the region of Condrieu. It also is a grape that comes with its fair share of issues, including a propensity to powdery mildew, low and unpredictable yields and the ability to dramatically change the character of a wine if the harvest is too early or too late. When it is harvested too early, wines fall short of reaching the full extent of their aromas and tastes. When picked too late, the wines seem oily, missing fruit character and being dominated with alcohol and floral notes. 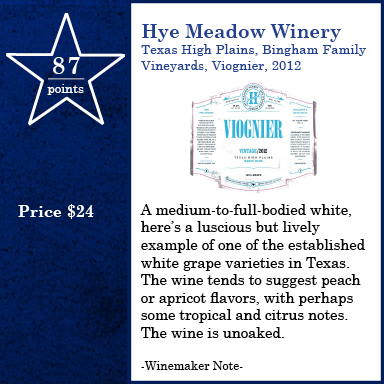 Jeff Ivy of Hye Meadow Winery Talking on Viognier in the Texas Climate. 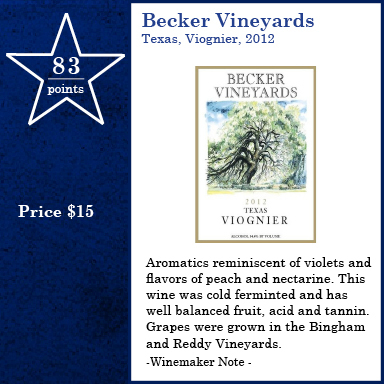 Again we saw a dominant performance of Texas Viognier against some stellar counterparts including E.Guigal and Zaca Mesa. The results really speak for themselves. 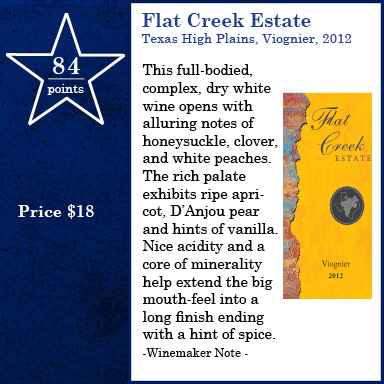 For complete Viognier results, click HERE. The Texas vs. The World series ended 2013 with Syrah. The results of which will be published in next month’s Journal. 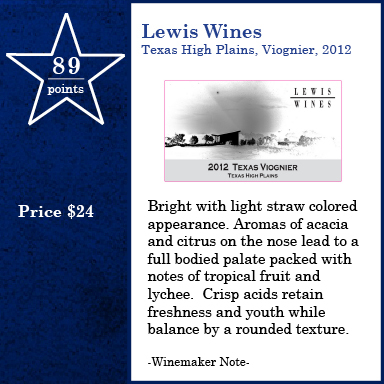 The blind format that debuted in 2013 showed a lot of truths about Texas wines not realized before from the previous format; like how consistently Texas wines can compete with other great wines of the world. The goal for 2014 is to bring this truth to light in a bigger way by tasting and rating more wines that can be published for the world to see. The consumer Texas vs. 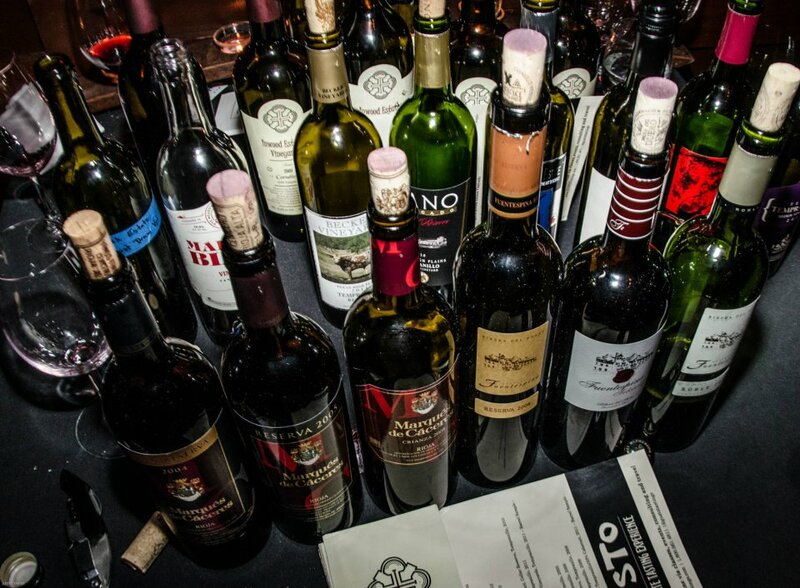 The World tasting will be limited to just one grand tasting in December that will highlight the top wines rated throughout the year by the Texas Wine Journal’s panel of judges.